A jury in Ventura, CA recently reached a verdict about a DUI crash that occurred almost three years ago. The case involved a man named Francisco A. Briones, and the claim was against Christopher Lee Zink. The victim was only 21 years old at the time of the accident and had his entire life ahead of him. The accident occurred at 5:00 a.m. when Briones was driving to work at a nearby warehouse. He was in his parent’s uninsured vehicle at the time. Mr. Briones was hit by a drunk driver who had a blood alcohol level of .14. In addition to being drunk, the driver had also suffered from sleep deprivation. The crash occurred because Zink had fallen asleep while he was driving. Briones ended up as a quadroplegic from the incident. The case was different from an ordinary personal injury case because Briones did not have insurance coverage at the time of the vehicle, and he did not own the car. Zink’s defense attorneys tried to make those two issues shine against the victim. Zink’s faults were too heavy to outshine the plaintiff in wrongdoing, however. The court ended up ruling in favor of Briones because he posted a payment met the necessary financial requirements. The jury found that Briones was in no way responsible for the accident. They awarded Briones more than $125 million in compensatory and punitive compensation. The plaintiff filed for the case in April of 2013. The jury just reached a verdict in January of 2016. It was a long case. Many personal injury lawyers try to settle out of court to avoid cases that stretch as long as this one did. Fortunately, the victim ended up getting the full compensation for the injuries and the additional neglect on the offender’s part. California drivers can learn a lot from this incident. Part of the privilege of being issued a California license is that the state trusts the driver. The state trusts the driver to look out for the best interests of other people. A driver severely violates the law and breaches that trust when a DUI accident occurs. DUI crash victims are entitled to receive compensation for a variety of items because of the harsh nature of the neglect involved. The victim is eligible for compensation under the personal injury laws because of neglect involved with drinking and driving. Compensatory damages cover a person’s hospital bills, medication costs, therapeutic bills, household bills, and any wages that the person lost because of the inability to get to work. The compensatory damages also cover the costs of automobile repairs. Punitive damages are a separate order that the judge may order in a case that involves “malice.” Malice is a term that usually means ill intention or intentional harm. Although the DUI driver may not set out to harm someone, the courts do see it as malice because the driver makes the choice to operate the vehicle in a drunken state. The courts made punitive damages easier to receive in a precedent that was set in a case of Taylor vs. Superior Court. The ruling was that the attorneys no longer had to prove malice in a DUI case to win an award because malice is already implied. 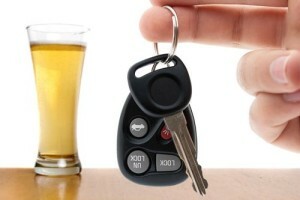 DUI driving is just not worth the consequences that can occur if an accident happens. Drivers in Ventura or anywhere in California are urged to hire designated drivers, and California injury victims are urged to obtain legal representation if an accident occurs.